This year, we are raising funds for the National Film Preservation Foundation's project, The White Shadow, directed by Graham Cutts and written, assistant-directed, and just generally meddled with in a number of different ways by the one and only Alfred Hitchcock. The goal is to raise $15,000 to stream this once-lost, now-found, three-reel fragment online, free to all, and to record the score by Michael Mortilla. Marilyn Ferdinand, Rod Heath and the Siren are pleased to announce that we now have more than 100 bloggers signed up for this hoedown. FREE. It's my favorite English word, after "silent", "pizza", "Christina" and "Hendricks". It warms my heart. Another thing that warms my heart: dedicated bloggers from across the globe, donating their time and talents to the cause of film preservation. I'm proud to be one of them. You guys, this is our chance to see a rare film, associated with a great artist, made available to all--and in the best condition possible. I will happily write about The White Shadow when it's fully scored. In the meantime, please consider a contribution of cash to this cause. Proper presentation is expensive, and every little bit helps. I know everyone who reads Silent Volume is gonna be jazzed by this. I certainly am. So jazzed that I'm doing jazz hands. You can't see them, but don't complain--I have no rhythm. What I do have a new blog post. 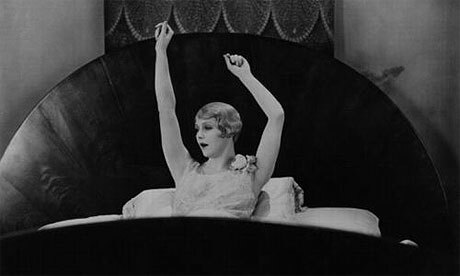 Below is my review of another Hitchcock early work: a silent adaptation of Noel Coward's Easy Virtue. Donate, then read it. Then donate again. Or just donate. We're gonna hit that target, guys. Beyond a shadow of a doubt. Alfred Hitchcock opens Easy Virtue in a courtroom presided over by a bored judge, who peers down at the proceedings through a monocle. We see what the judge sees: a blurry soup of lawyers, accusers and accused, the public and the press—a few of them magnified and rendered sharp by his circle of glass. Without this lens, the judge couldn’t tell them apart. The eye is the enemy in Easy Virtue. It damages everything it’s turned upon. Curious eyes put lovely Larita Filton (Isabel Jeans) in this courtroom; sued for divorce. Then camera lenses, the relentless eyes of the press, explode her scandal and drive her to the Mediterranean; in search of a new life under a new name. After finding both with the young, rich John Whittaker (Robert Irvine), Larita endures the glares of a new mother-in-law (Violet Farebrother), who suspects much. And the cameras aren’t done with her yet, either. Noёl Coward’s Easy Virtue debuted on stage in New York City only three years before Hitchcock and screenwriter Eliot Stannard adapted it for film. Their version retains most of the basics of the plot, along with Coward’s theme of hypocrisy, but there are striking differences. 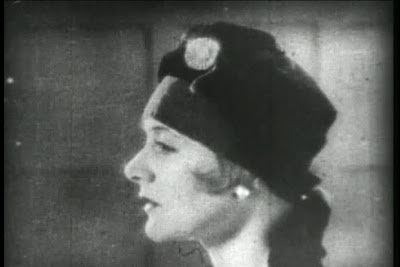 Larita’s trial, her flight from her past, and her whirlwind romance with John, occupy the first third of Hitchcock’s and Stannard’s film. In Coward's play, they are past tense, even in Act One. Portraying these scenes on stage would have been difficult, for artistic and practical reasons. But Hitchcock could have made a good movie without them, probably. I think he added them because silent film allowed him to make something great from them—something distinctively his. 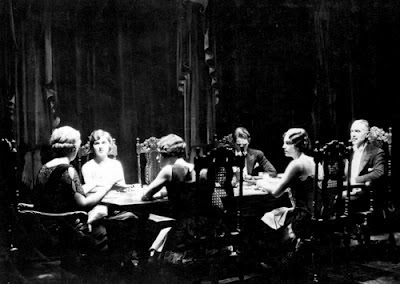 Where these scenes end, Coward’s Easy Virtue begins—and with it, the quick, sparkling dialogue that typifies Coward’s work. Hitchcock and Stannard evoke it ably, but they never truly capture it. What Hitchcock does do in Easy Virtue is show us the intuition that made his sound films great—his awareness that a single object or place can have several psychological effects on a viewer, depending on how, when, and for long it’s viewed. There is, for example, the case of a car horn: heard by Larita and John as they ride together in the back of a horse-drawn carriage. It’s obviously difficult to express piercing sound in a silent film—most directors managed it by showing the thing making the sound, then cutting to a reaction shot if the sound was intended to be shocking in some way. But Hitchcock is cagier. Larita and John’s carriage stops unexpectedly, blocking the path of a car behind it. Now Hitch cuts to an extreme close-up of a hand, squeezing the bell of a horn. The shot lasts five seconds—about four seconds longer than we require to understand that a horn is being heard. But by extending the shot, the director conveys not only the sound of a horn, but also the irritation of the driver, whom we don’t see until well afterward. By forcing our eyes to linger on the spasming hand (any body part in extreme close-up is off-putting), Hitchcock makes us feel as uncomfortable, in that moment, as the driver, Larita and John do. Other techniques are more light-hearted. When John asks Larita to marry him, she promises that he’ll have his answer that evening, over the phone. 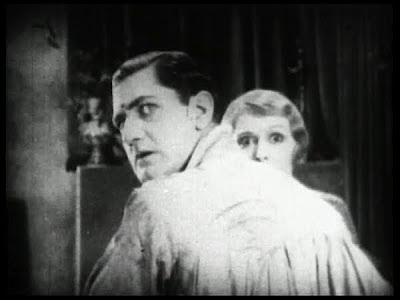 Rather than cut tediously back and forth between the two lovers talking into their telephones, Hitchcock instead films the operator, who is eavesdropping. The drama of the conversation—John’s formal proposal, Larita’s uncertainty, John’s entreaties, Larita’s final, happy acceptance—are portrayed through the operator’s changing expression alone. It’s delightful. I wish the rest of the film had such spark. Once the newlyweds return to England, to the Whittaker family home, Easy Virtue falls into a repetitive loop of family tension. Everything’s building, we assume, to a big reveal; but John’s mother is such a miserable person, his father so incidental, and his sisters so miserable and incidental, that we wonder whether the big reveal could have much of an effect. The women dislike Larita without cause; what difference, really, would it make if they were given cause? As for John: once he’s back under his mother’s thumb, his opinion of Larita seems to slide. Discovering her scandalous past would only hasten the inevitable. There is less of Hitchcock’s visual trickery, and less creativity overall, in Easy Virtue’s second half. And there are strange dips in energy too; scenes at dinner tables, railway stations and other places that have no art to them. They look like old newsreel footage. I can’t explain them, and I could defend them, insofar as they aren’t important scenes, but still, you’d expect better. Props, either way, to Isabel Jeans. She carries on, through all of her scenes, with appropriate dignity. Though her character is a woman in despair, it is not in Larita's heart, nor her breeding, to collapse under threat. Jeans responds to every snipe with cold poise, siphoning off her nervous energy by lighting another smoke. It’s the curiosity others have about her, combined with the ease and thoroughness with which they can learn what they wish, and the absence of any requirement to learn more, that makes Larita what she is. Thanks to Jeans’ work, and Hitchcock’s, we can see the real Larita most of the time. But I’m not sure we see the real Easy Virtue. I finished the film with an urge to see the play—to compare Hitchcock’s gifts to Coward’s, and decide if those gifts could be happily wed. Here, they weren’t. Not quite, not enough. 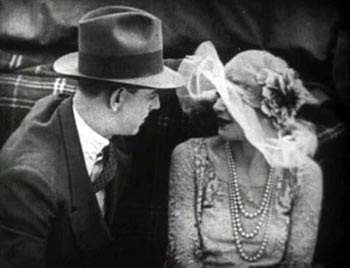 Like most of Hitchcock’s surviving silent film work, Easy Virtue is available on DVD. These films are in famously bad shape, though I’ve seen (and paid for) worse. The British Film Institute (BFI) is doing much to return the “Hitchcock 9” to their original glory, so please lend them your support. First, i'd like to thank you with your help on finding the silent movie. I imagine that the Russian general is an extra in 1931's Inspiration, with Greta Garbo, right? After this, I'm glad to read another Hitchcock post. 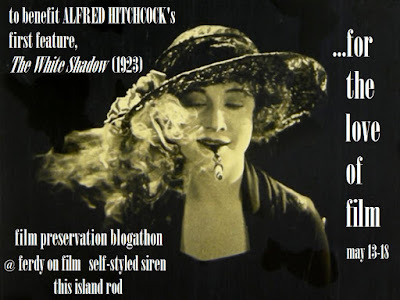 I'm also in the blogathon and loving all this shared appreciation of Hitchcock's movies and also silents. I agree with you on Easy Virtue. It may be that Hitchcock needed to take more liberties with the play to make it successful. Reading your post made me think of The Skin Game, which Hitchcock made a few years later. It also deals with upper class hypocrisy, but for me it works better than Easy Virtue. The Skin Game is kind of stagey, kind of stiff, but it has a tension that the earlier film lacks. Casey: I think he could have made it work if he'd inserted more of his own art into the second half. Some of that material (Hitchcock's, I mean) is strangely uninspired.